I wake up far too early every day … and it always starts the same way: with a peek around our blackout drapes to see what’s passing by our window. The storybook scene that met my eyes this morning made me want to throw open the curtains. Every half-timbered building and steepled church tempted me to shake Dan awake to share it with him. 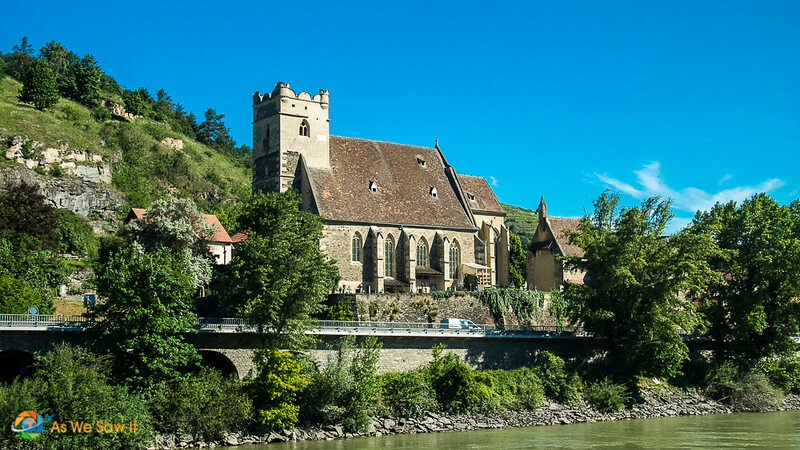 We were entering Austria’s 24-mile long picturesque Wachau Valley, a narrow gorge that is blanketed with vineyards, woods and cute little Austrian towns. We carried our second cups of coffee up to the Sun Deck. A good number of passengers were already there, happily soaking up the sun and scenery. Who could blame them? 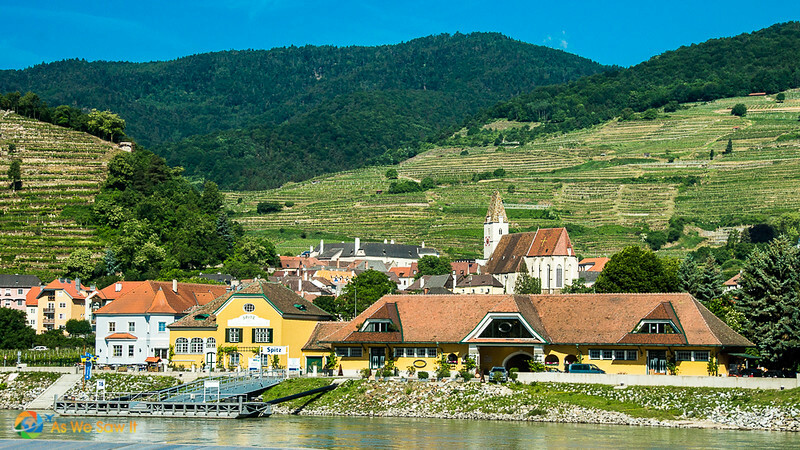 Wachau Valley is known as a particularly beautiful part of Danube, so much so that the Wachau Cultural Landscape has earned UNESCO World Heritage Status. 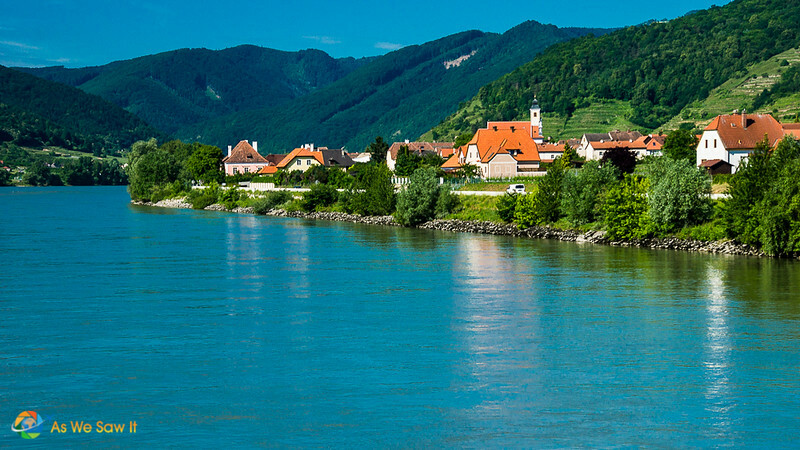 → Read more about the Wachau Valley as a UNESCO site here. Dewi was on the Sun Deck as well, giving a very interesting narration. 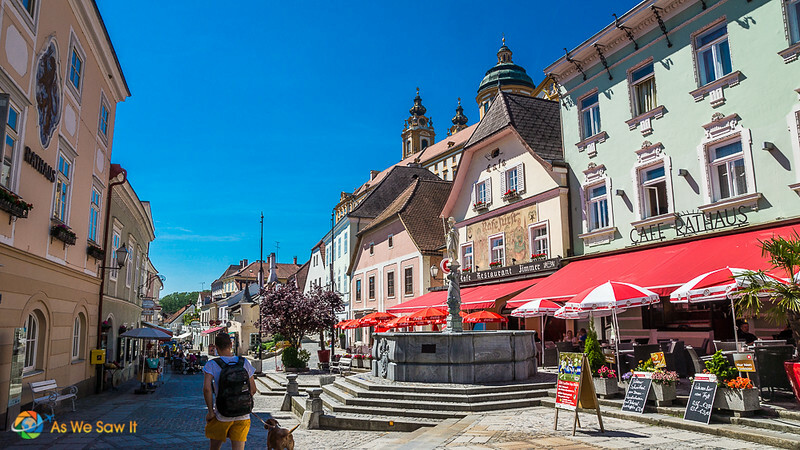 We learned fascinating facts about the passing landscape, the culture and history of the area, and more about the Danube itself. Alexander the Great advanced his Macedonian empire to the Danube in 336 BC. 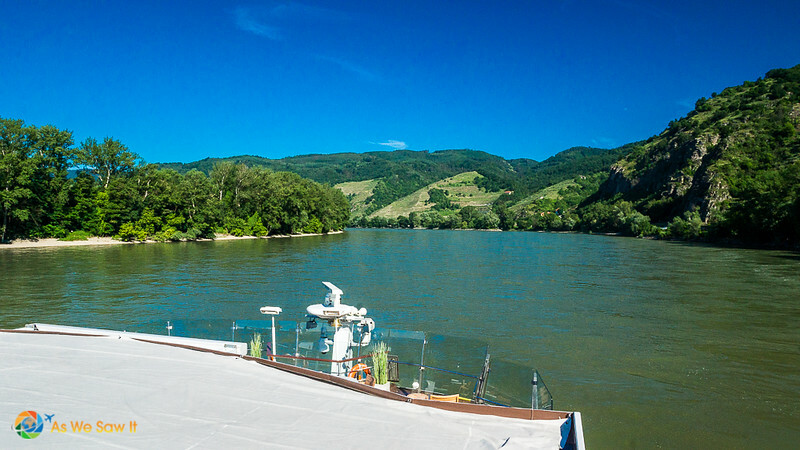 The Romans often used the Danube as a northern border for their empire. 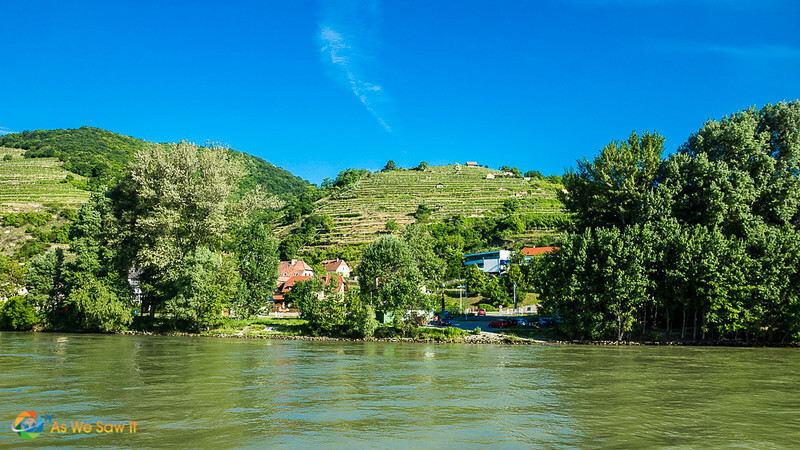 Many of their ancient vineyards can still be seen along the river. 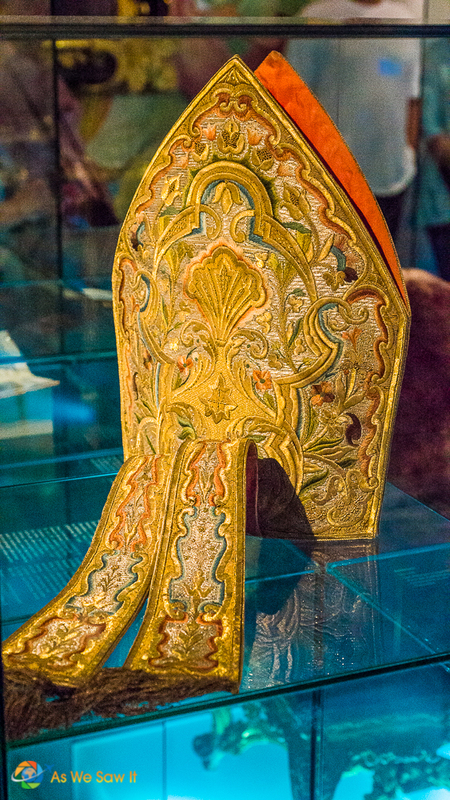 The Danube later formed the northern border of the Ottoman Empire for centuries. 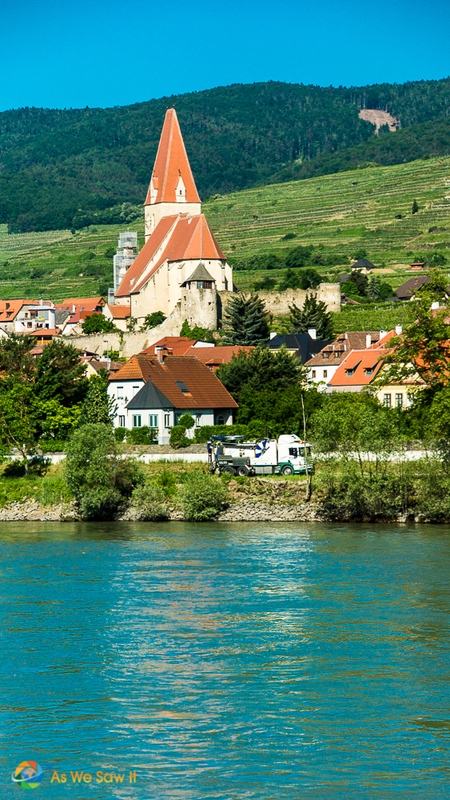 Durnstein Castle held Richard the Lionhearted prisoner in 1193. 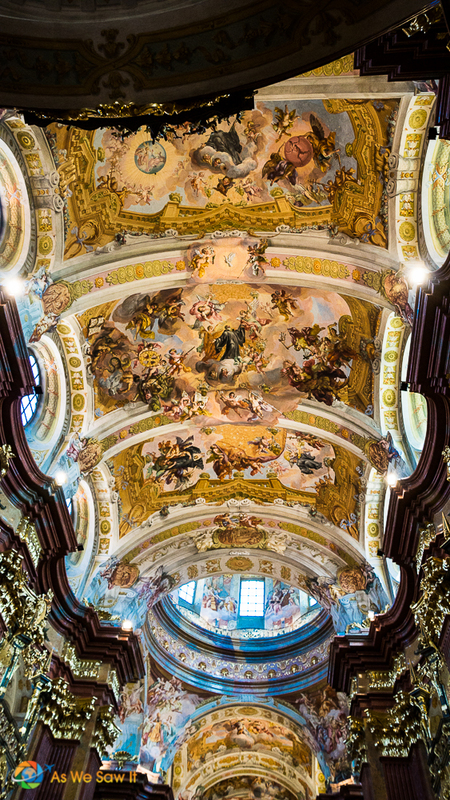 She also told us anecdotes about some of the buildings, such as St.Michael's church in Weissenkirchen that has seven little rabbits running along its roof. The sun was warm but it was very breezy and quite cool on the Sun Deck. My long sleeve shirt wasn't enough. I ran down to our stateroom for a lightweight scarf and later returned again for a sweater, but I found myself envying those who had brought a jacket. There’s only so much scenery one can appreciate in one sitting. When 11 am came around the lounge filled up as many of us gathered to hear Dewi offer a German language lesson. It was good for a few laughs. 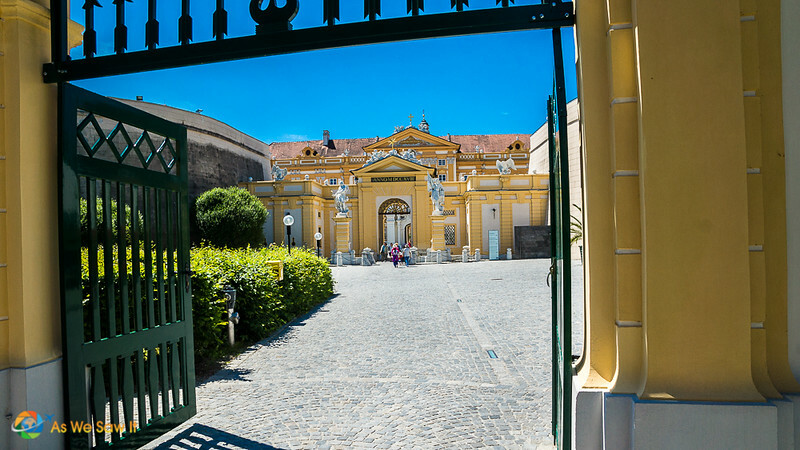 The ship’s only stop today was in Melk, quite possibly the smallest of all the places we visited. 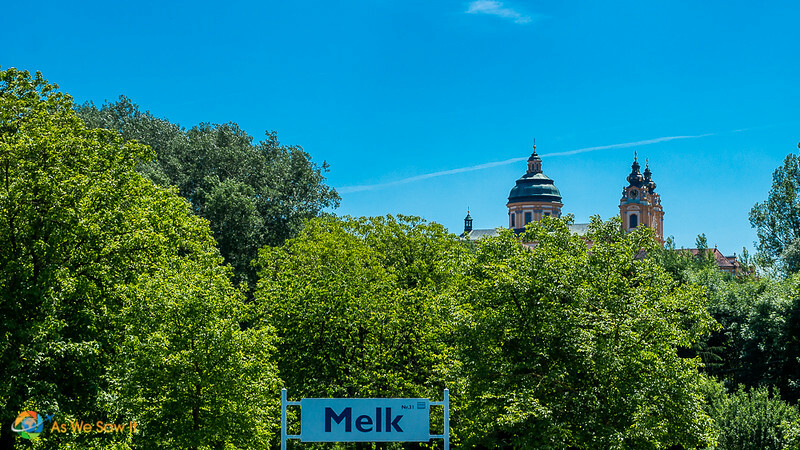 We could see Melk Abbey from our ship. 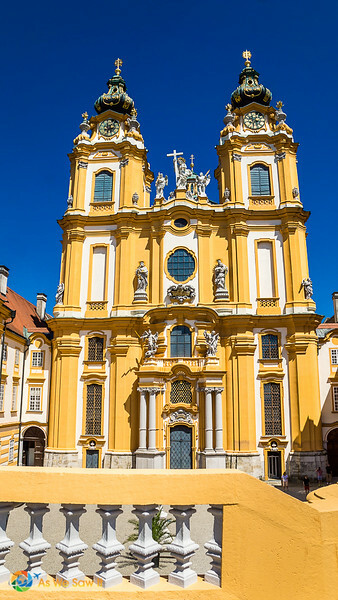 The only reason Bragi stopped there was so we could see Melk Abbey, the massive 1000-year-old, Baroque complex that dominates the pretty little town. 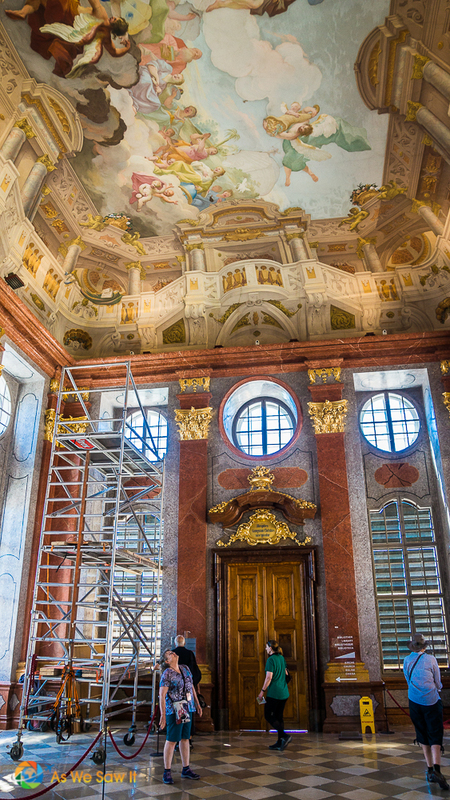 Photos were allowed everywhere in Melk Abbey … until we got to the library and its 100,000 volumes of leather-bound books. The guide kept an eagle eye on Dan the whole time we were in there. I managed to quickly snap a random shot with my phone as we walked in, but out of respect for the rules I didn’t try to sneak any more while I was in the room. 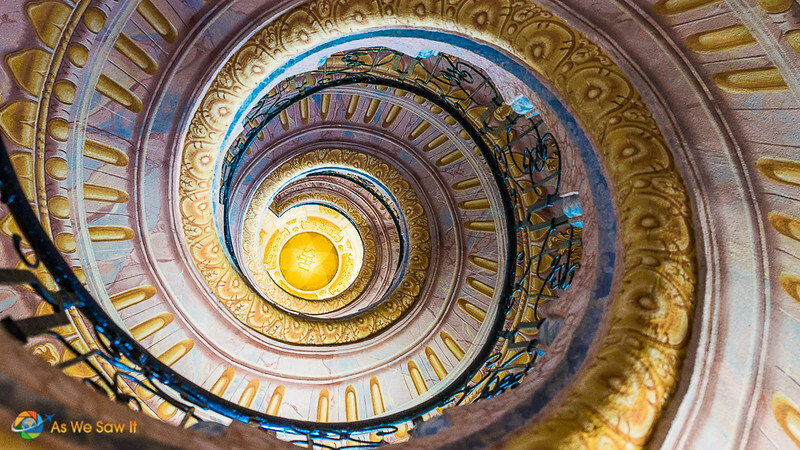 A spiral staircase connected the library to two upper floor reading rooms. 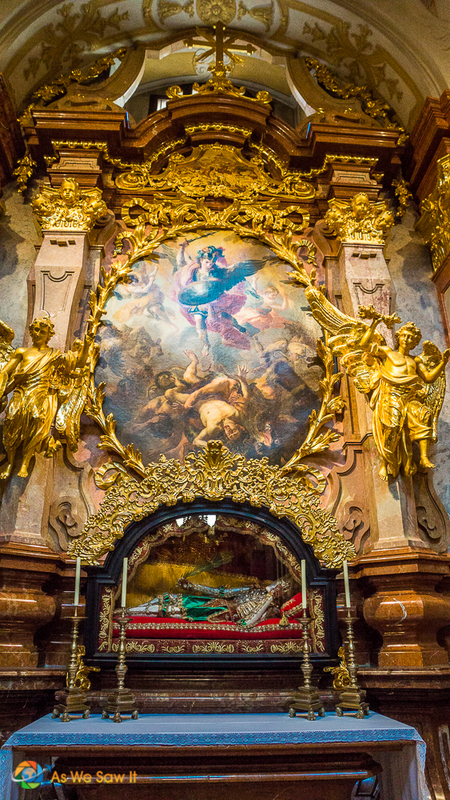 The abbey’s sanctuary was over-the-top ornate, covered with gold leaf and stucco everywhere. 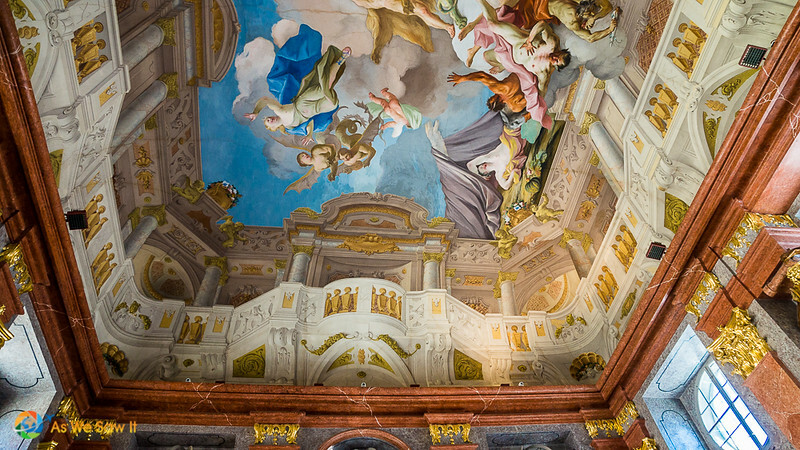 Our guide explained that the goal of Baroque art was to demonstrate that heaven (up above) is so much better than our present life (where we were standing). 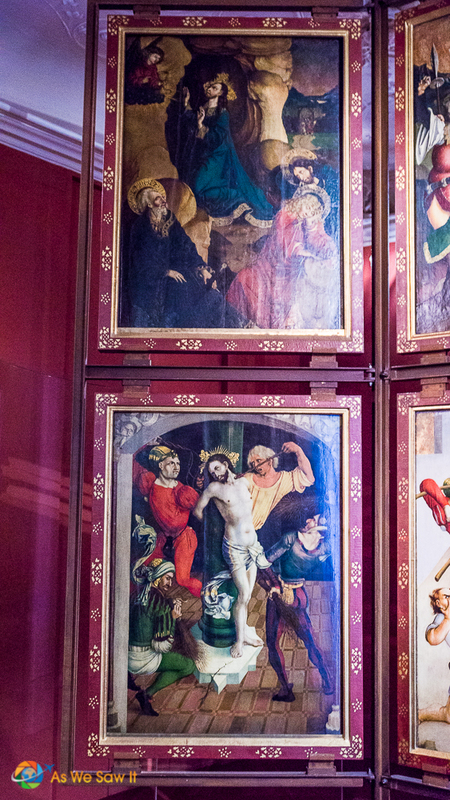 There was some significance to having a couple of saints' bodies on display, but unless it was to remind us of our mortality it escaped me. 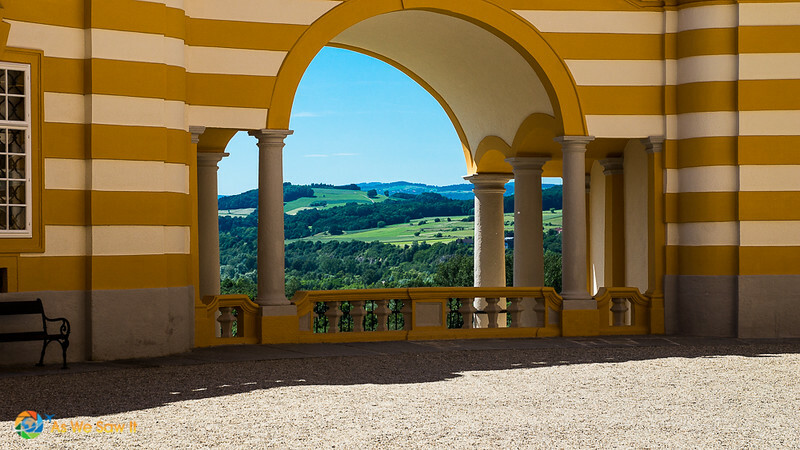 At the end of our tour we found an outdoor balcony with a lovely view of Melk and the surrounding countryside. Then we walked down the hill, back to the ship through town. It was a cute little place. 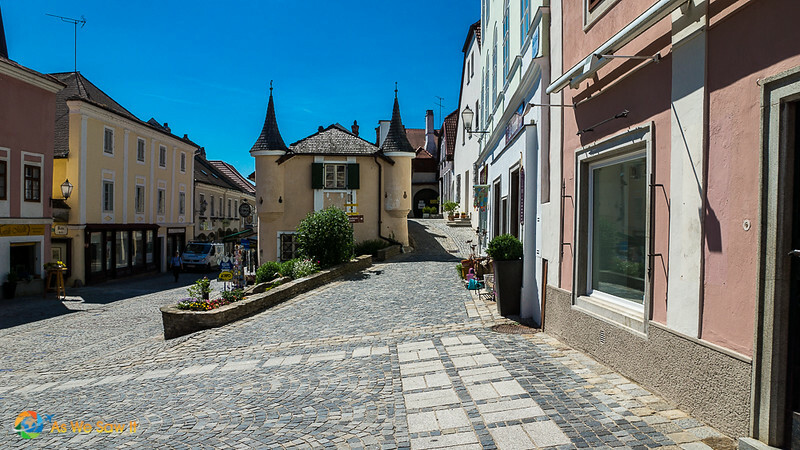 We’d have liked to spend some time meandering through the sleepy town’s streets but our short time in port meant we couldn’t linger. We did find enough time to buy an ice cream before we boarded, though. 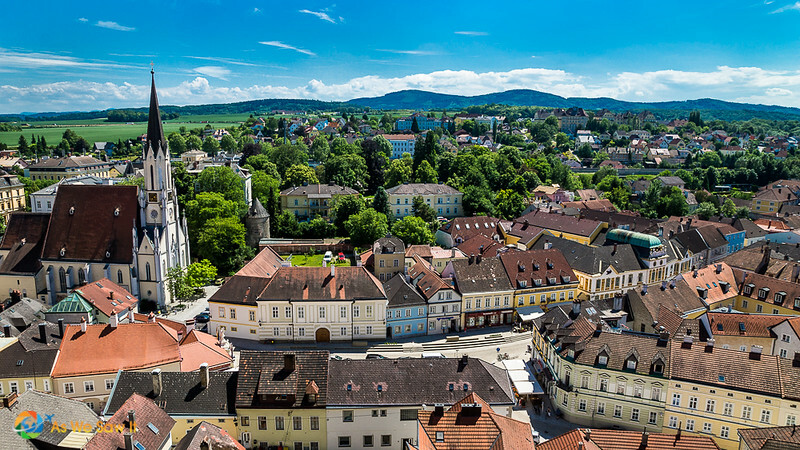 Melk's abbey could be seen from many parts of the town. 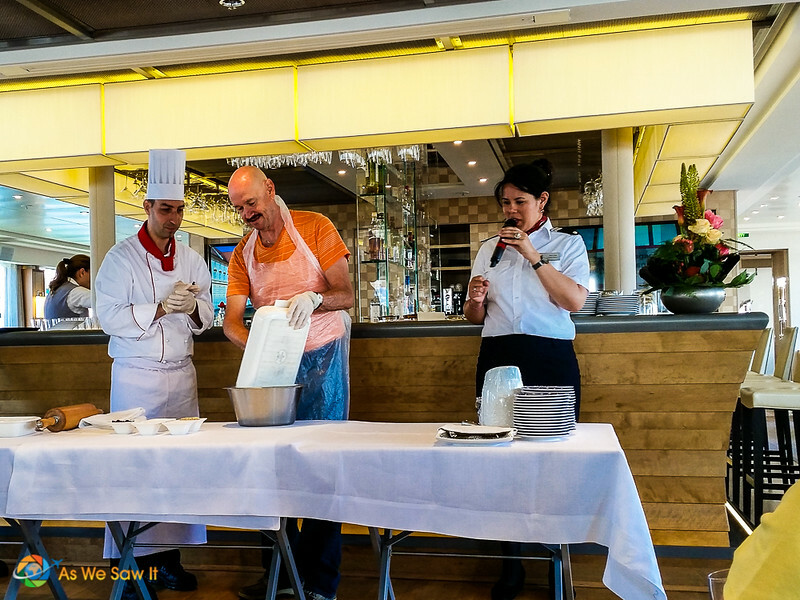 Once Viking Bragi set sail passengers gathered in the Lounge for a demonstration of how to make apple strudel. Dan was chosen to help demonstrate how easy it is to make. He said it was one of the highlights of our cruise so far. Evening entertainment was dance and fun with Dewi in the Lounge. We had a blast on the dance floor and stayed up far too late chatting with new friends. This looks amazing! I’ve always wondered about taking a river cruise. It appeals to me more than an ocean cruise, for some reason. 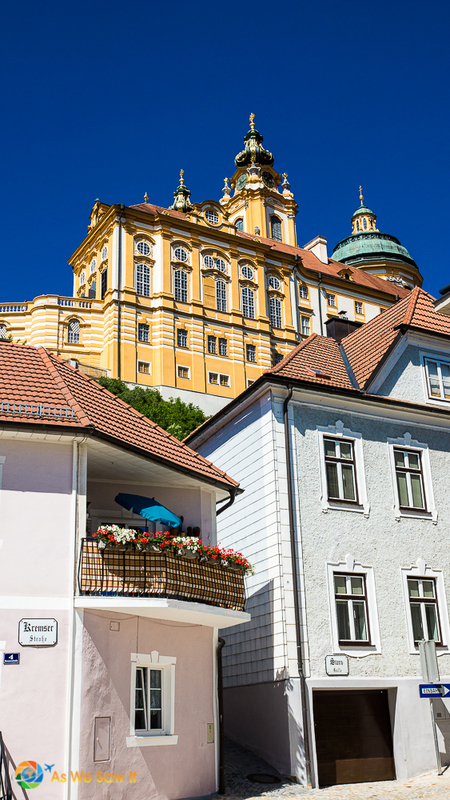 The scenery here is stunning and Melk looks like something from another world. Thanks for sharing! They can be pricey, Kacy, but there are great 2-for-1 and free airfare deals that make it affordable. And the memories are sooo worth it. 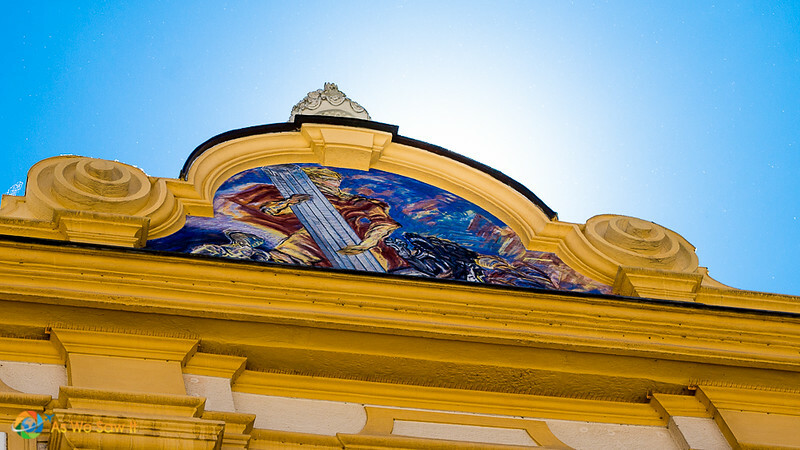 Apple strudel and an incredible library!? Count me in!! We’ve not been on a cruise yet but this seems like a perfect one to start with! Thanks for your comment Carolann. I’ve never been on a river cruise. It’s something that I want to do one day with my husband. It’s the best way to see some of Europe’s cities along the way. 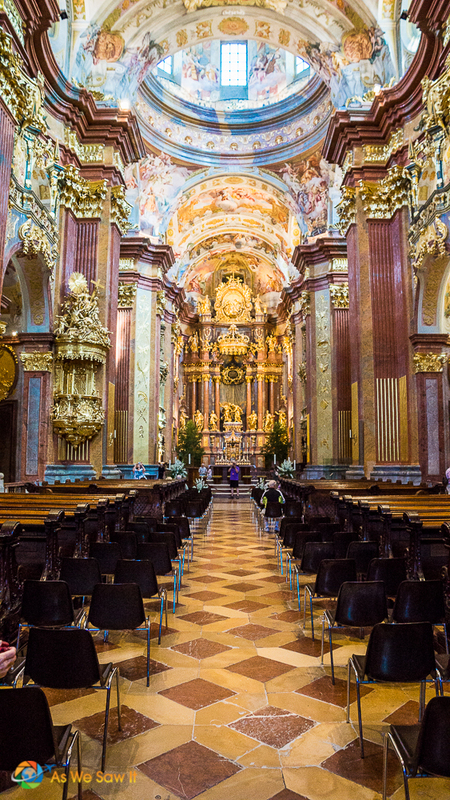 The church and abbey in Melk are spectacular. 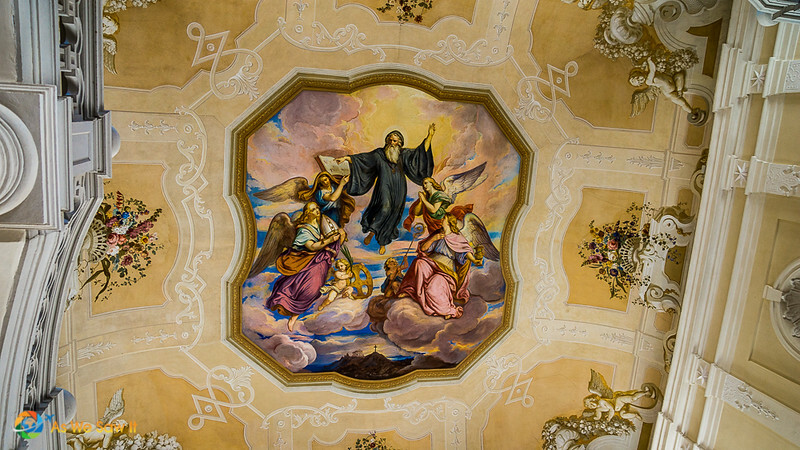 The detail in the artwork in the ceilings and in the building are incredible. I would of stayed there for days staring at it. You’re right, Carmen, it’s a great way to see some of Europe’s cities. I found so much detail to be quite overwhelming. Didn’t quite know where to look first!